Several times already this week, I have heard something that bothers me. It is not "spin" on particular legislation. It is not the latest theory of why a Justice voted the way he or she did. It is not an interpretation of some obscure policy or Executive Order. It is being wished a "Happy 4th of July"
"...that All men are created equal..."
Over the years, it seems to me that almost every one of our Holidays has lost some of its meaning. Merry Christmas has been replaced by Happy Holidays in an effort to become more "sensitive" and "politically correct." Thanksgiving has become less about a day of thanks and time with family and more about looking at the store ads, who is opening when for Black Friday, and what is the plan to make the most of the biggest shopping day of the year. Memorial Day has ceased to be a day where we remember the fallen, or visit the graves of the departed, and has become "the Official Launch of Summer." Unfortunately, as have gone these aforementioned days, so is going Independence Day. "...and that they are endowed by their Creator with certain unalienable Rights..."
Of all Holiday's on the American Calendar, Independence Day is unique. With Independence Day, no American can complain of "religious" overtones as they do with Christmas and for a few Thanksgiving. It is not about whether one supports the Troops or necessarily remembering those who gave "the last full measure of devotion." It is not a day where we celebrate our right to freely assemble and associate ourselves with others like us to demand concessions in the workplace (Labor Day- for those who have forgotten the original intent of that day as well). Nor is it a day set aside for the celebration of the foundations of Christianity. Rather it is the day we set aside to Celebrate the declaration of those Rights that include our Freedoms to Celebrate or Protest all other Holidays. "...that among these are Life, Liberty and the Pursuit of Happiness..."
Independence Day is just that…the day where we celebrate our Independence. Recently, a radio show I listen to was talking about the US Citizenship test that immigrants are required to pass before they become citizens and how many natural born Citizens would fail that test. That conversation caused me to question how many know what it is we celebrate on Independence Day. "...That to secure these rights, Governments are instituted among Men, deriving their just powers from the Consent of the Governed..."
We are not celebrating the beginning of the Revolution- that began in 1775. We are not celebrating the birth of our Republic, as the Republic was not truly formed until the Constitution was ratified in 1789. We are not even celebrating the founding of our Government, for it can well be argued that our first Government, under the Articles of Confederation, was a dismal failure. Most surprising of all, we are not even celebrating the day when the Continental Congress voted to Declare Independence from the Crown (John Adams wrote to his wife Abigail after the vote to declare independence, “The second of July 1776, will be the most memorable epocha in the history of America. I am apt to believe it will be celebrated by succeeding generations as the great anniversary festival”). New York did not approve the Declaration until July 19, 1776, and the actual signing (for most of the signers) was on August 2, 1776. “...That whenever any form of government becomes destructive to these ends, it is the right of the people to alter or to abolish it..."
We celebrate Independence Day on July 4th because on that day the final wording was approved, and the document was sent to be printed and distributed to We the People. Independence Day is about Freedom. It is about Self-Evident Freedoms which are Endowed to us by our Creator-not given to us by Man. It is about those freedoms which are both Enumerated and Unenumerated in our Constitution and exercised each and every day by each and every one of us, no matter our Political, Religious, or other affiliations. “...But when a long train of abuses and usurpations, pursuing invariably the same object evinces a design to reduce them under absolute despotism, it is their right, it is their duty, to throw off such government, and to provide new guards for their future security..."
It is about the hundreds of thousands who shed their blood and gave their lives, to fight for the very freedoms we exercise when we disagree with each other and our Government. It is about Celebrating the right to express ourselves and our differences. Gone are the days when Independence Day was "commemorated as the day of deliverance by solemn acts of devotion to God Almighty;" when the day was celebrated by the whole town, gathering in the square, listening to a reading of the Declaration of Independence; A day "solemnized with pomp and parade, with shows, games, sports, guns, bells, bonfires and illuminations from one end of this continent to the other." “…That these united Colonies, are and of Right ought to be, Free and Independent States…"
But the reason for our celebrations remain, the Divine and Self-Evident right, endowed to us by our Creator, to be Free and Independent. Every year about this time, it is the same-- the excitement, the frenzy, the panic, the flurry of news stories all about one thing that is completely unchanging. It is hot in Phoenix. It is treated as “breaking news,” as if this was an unusual occurrence. It is the topic of conversation- specially among those new to the valley. People inside buildings enjoying the cool comfort of air conditioning, are constantly checking the internet to see what the temperature is outside, whether they will go outside or not. Inevitably, some television producer will attempt to fry and egg on sidewalk, and someone, somewhere will make some “apologetic” comment about “at least it’s a dry heat”- as though that really makes a difference over 118F (in the shade mind you). Someone else will say, “But with the wind-chill it only feels like 114.” And finally someone else during the day will say “It’s only 48…Celsius”-which helps only as long as it takes to do the math or take a deep breath outside. The fact is, this is Phoenix. This is the Sonoran Desert. In the summer, it is hot. Now, in the interest of full disclosure, I am a Phoenix Native. As a young boy I ran across the “blacktop” barefoot, my friends and I ran around the neighborhood with our toy guns, playing “army.” We climbed trees. We rode bikes. We ran through sprinklers in our shorts, we swam in the neighbor’s pool, and we even drank water straight from the hose. Somehow we survived. Perhaps what contributed to our survival was KPHO-TV 5 in Phoenix ran “Wallace & Ladmo” (you have to have been from here) at 3 pm, and most of us were inside watching TV by the time the heat really hit between 3-4 (the hottest part of the day here is about 3:30-4:00 pm- not just after noon like in many places). Or perhaps it was we knew that the biggest part of staying cool was to come in out the heat- black and white TV or no. I do suppose the one good thing about having days like this, is it dispels the notion from “foreigners” (people from states other than Arizona) that for some reason we actually need daylight savings time here—We DON’T. After all, who needs an extra hour of 118 in the shade! Advice from someone who grew up here--- Keep hydrated, keep out of the sun, and stay indoors!!! 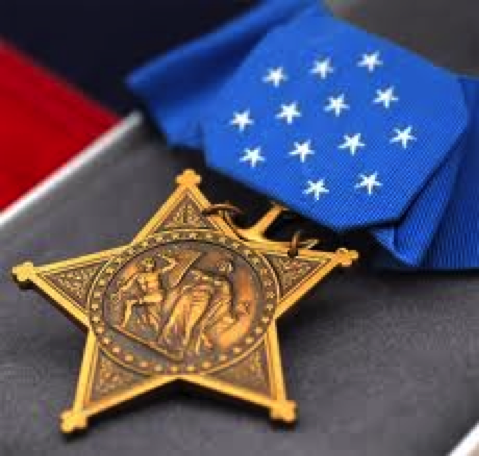 Yesterday, we wrote the story of Marine LCpl Jose F. Jimenez, recipient of the Congressional Medal of Honor, who will be laid to rest next to his mother, in Glendale, Arizona. But, in that story, we did not discuss the issue of receiving citizenship in this country, after serving honorably in the armed forces. Should non-citizens who serve Honorably in the US Military be granted United States Citizenship if they request it? Of course. Really, this should be a non-partisan issue. We have a LONG military tradition of NON- Citizens serving in our Military- dating back to the War of Independence. Major General Baron Friedrich Wilhelm von Steuben, Inspector General of the Army and later Chief of Staff was not made a US Citizen until well after the end of the Revolution- by acts of Pennsylvania and New York. His development of the entire training program for the Continental Army changed the War, as the Battle of Monmouth showed. It can also be argued, the Baron was also the first known "gay member of the military"- as he had been dismissed from other countries militaries, for having "taken 'liberties'" with young men. Gen. Washington must not have cared. Brigadier General Casimir Pulaski (born Kazimierz Michał Władysław Wiktor Pułaski of Ślepowron (Poland)) was a nobleman who joined the Continental Army at the suggestion of Benjamin Franklin. Not only is he known for saving the life of George Washington, but also for reforming, reorganizing and being the 'father' of the American Cavalry. He was killed in action during the Siege of Savannah, October 11, 1779. Brigadier General Casimir Pulaski was granted Honorary Citizenship, in a resolution of Congress authorizing the President to make the honorary grant in 2009. Major General Gilbert du Motier, Marquis de Lafayette did not fight under the French Army in the American Revolution- but under the Continental Army. At age 19 defied the orders of King Louis XVI and came to America to fight and was wounded in battle in the Revolution. He remained though a citizen of France. The Marquis de Lafayette was finally granted Honorary Citizenship, by an Act of Congress in 2002. Although his body lies in France, he is buried under both French and American soil. 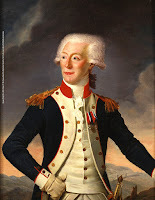 His son, Georges Washington de La Fayette, covered his father's coffin with dirt gathered from Bunker Hill, honoring his father's wish, as a Hero of Two Nations. He is buried in Picpus Cemetery in Paris. On July 4, 1917, after the American Expeditionary Force arrived in France to fight WWI, General "Blackjack" Pershing, and his aides went to Picpus Cemetery in Paris. The words, "Lafayette, We are here!" were uttered. At the end of World War I, an American Flag was raised over Lafayette's grave. Every year since, on at 11:00 a.m. July 4, there is a ceremony in Paris, by members of French and US Military and American & French dignitaries, for the Changing of the America Flag over the tomb of Lafayette. Both La Marseillaise and the Star Spangled Banner are played as well as Taps and Aux Morts, and then representatives from the US Military lower the American Flag, and raise a new one. 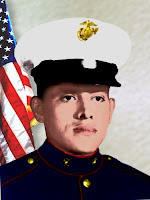 LCpl Jose F. Jimenez was in the US legally. He may not even technically been an immigrant, legal or not, since his mother worked for the Mexican Consulate-he would have been considered a member of a family under a diplomatic law. But really, who cares what his legal status was? He is an American Hero who wanted to be an American "payback" the Country he had grown to love. That, he definitely did, and more. There are eight people who have been named honorary citizens of the United States- only two while they were still alive- Mother Theresa and Winston Churchill. In addition to the ones already named, Swedish diplomat Raoul Gustaf Wallenberg - who saved tens of thousands of Jews in the Holocaust, Bernardo de Gálvez - for services in the Revolution while serving under the Army of Spain, and William and Hannah Penn - founders of Pennsylvania. On Tuesday, January 17, 2017, WE CALL ON the ENTIRE Arizona Congressional Delegation of the House, from BOTH sides of the aisle, to rise on the Floor of the House and ask Senator's McCain and Flake to stand in the Well of the Senate and propose that LCpl Jose Francisco Jimenez, USMC, recipient of the Congressional Medal of Honour, who gave, as President Lincoln said, "the last full measure of devotion" for a country that was not even his; be granted honorary Citizenship in the United States of America, by an immediate Act of Congress. Tuesday, January 17, 2017, LCpl Jose Francisco Jimenez, USMC, recipient of the Congressional Medal of Honor, will be buried with full military honors at Glendale Memorial Park, in Glendale, Arizona. He is being re-interred, from a cemetery near Mexico City, where he had been born. He is finally "coming home" to a country he adopted, and country he loved, to rest next to his mother. Jose's mother, Basillia Jimenez, was employed by the Mexican government, working in Arizona. His family moved to Arizona when he was 10. He graduated from Red Rock Elementary School, Red Rock, AZ in June of 1964. Jose then graduated from Santa Cruz Valley Union High School in Eloy, AZ in June of 1968. Jose had friends from high school who had been drafted. 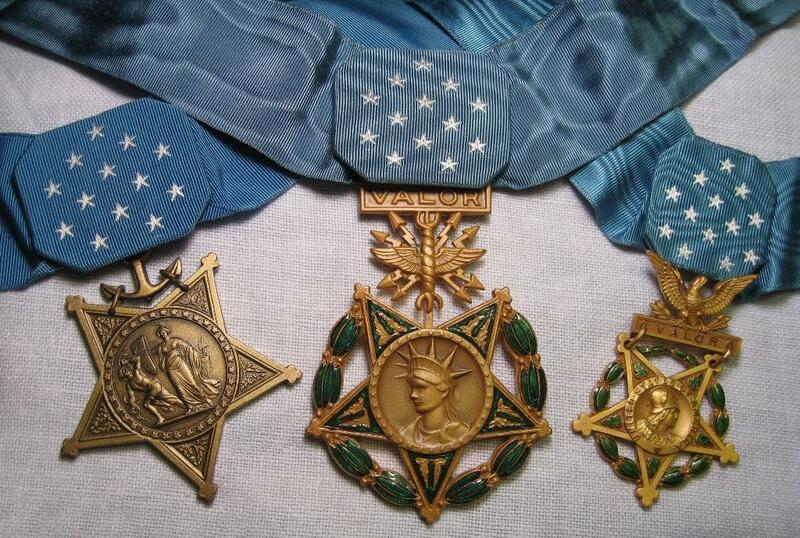 He had other friends who had volunteered for military service. 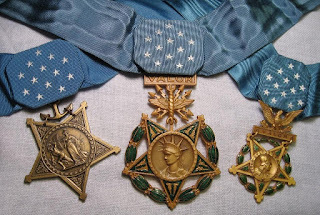 Although, as a Mexican national, whose mother worked for the Mexican government, he had no risk of ever being drafted, and had no moral obligation or duty to fight for the United States, he wanted too. He loved the United States, and chose to defend her. He volunteered to join the United States Marine Corp.
That choice would send him to Vietnam, where he was Fire Team Leader with Company K, 3rd Battalion, 7th Marines, 1st Marine Division. On 28 August 1969, he was killed in action, fighting for his "adopted country." 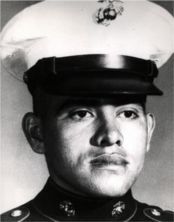 After Jose was killed in action, in 1969, he was buried in a cemetery near his place of birth, in Morela, Mexico. It would take 17 years for the headstone, provided by the United States and designating him as a Medal of Honor recipient to reach him. In 1969, his family could not afford to have the 135 pound granite stone shipped to Mexico. After learning of this in a news story, Marines who had served with Jose, and many who didn't, arranged to have his family, and the headstone sent to Morela. After the death of his mother, Basillia, the family wanted him to be moved to the United States, to be buried next to her in Glendale, but could not afford to do so. Individual Marines, active, reserve, retired, Marine families and others, learned of Jose's families wishes. They contributed and helped arrange to have LCpl Jimenez "come home" to Glendale, to rest next to his mother. And this Tuesday, he will finally be laid to rest, in HIS country. Being born in the late 1960's, I remember the Cold War well. I clearly remember the tensions of the 70's and 80's. I remember the 1983 shootdown of KAL007 by the Soviets and the tensions it caused. I remember almost every movement of "the Doomsday Clock" (since the late 70's) and how in 1984 it was moved to "3 Minutes to Midnight"- the closest the Clock got to midnight since 1953 while Stalin was still in power. I remember Leonid Brezhnev, Yuri Andropov, Konstantin Chernenko, and finally Mikhail Gorbachev. I remember arguing for a grade school "persuasive paper" the superiority of be B-1 to the B-52. I remember Titan II missiles outside Tucson, Arizona, and knowing if I ever saw streaks in the sky to the south of Phoenix, arcing from ground toward the north and eventually across the pole, I would probably have less than 30 minutes to live- maybe a bit longer, depending on being killed in the original nuclear blasts that would surely target Scottsdale, Glendale, and Tucson, Arizona-- Tucson, being the location of multiple missile silo's until the mid 1980's, Glendale because of Luke Air Force base-- the largest fighter training base in the US at the time, and Scottsdale due to the number of companies involved in strategic arms development. I remember my dad working for Strategic Electronics Operations at Motorola, and knowing that whatever my dad was working on was "need to know"- and I didn't- but still knowing it was all related to classified military technology. I remember the names MX Peacekeeper, Titan and,Minuteman and even in grade school knowing what "overkill" was. I remember "The Day After" and how the entire country was talking about it (my wife's family owned the Lawrence, Kansas farm where the movie was partially filmed). We didn't know at the time how close we actually came-- much closer than even the Cuban Missile Crisis-- to total nuclear war with the Soviets in November 1983-- two months after KAL007, and ironically about the same time "The Day After" was aired. The Soviets under Andropov had been running Operation RYAN- an attempt to learn if the US was planning a nuclear strike. A NATO training exercise- ABLE ARCHER 83, caused the Soviets to believe we were about to strike- and the Soviets started preparing for a preemptive nuclear strike. I also remember the night "the Wall" fell-- and then the lowering of the Flag of the Soviet Union on Christmas, 1991 and the collapse of the Soviet Union. The Cold War had ended without nuclear exchange, and the world breathed a collective sigh of relief. Why do I mention all this Cold War History? Partially because those in their 30's and younger do not have the same memories of what it was to live during the Cold War. We have no common reference between those who spent the first twenty years of their life or more during the Cold War, and those who have grown up after. But, I also mention it because, although history does not repeat itself, it often rhymes a lot. In December, I wrote of how the Russian hacking discussion was being overplayed to distract the public. Since then we have had more and more information that allegedly has come from Russia that has captured headlines- this time about President-Elect Trump. I am convinced now more than ever before, that the public is being distracted, perhaps intentionally, to keep people from noticing that the the Cold War may be back, and we maybe creeping closer to conflict with Russia. Numerous indicators of heightening tensions are beginning to appear. 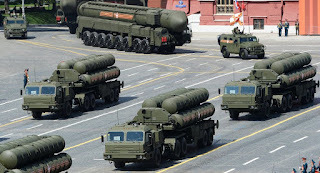 Recently, Moscow announced the deployment of four new Strategic Missile Regiments to the Western end of the the country. These four regiments are equipped with the RS-24 YARS ICBM, with each missile holding ten MIRV's (independently targeted warheads). A regiment of SA-21 Growlers has been deployed to Moscow. These missiles are an advanced SAM (Surface-to-Air-Missile) system that Russia claims is capable of destroying ballistic and cruise missiles as well as aircraft. Four more regiments will be deployed to the Western Military District of Russia this year. Details of the SA-21 (S-400 is it's Russian Designation) can be found here. The SA-21 is mobile and can fire about 96 missiles. Russia also announced the increase of military hardware and personnel for the Baltic, as well as for the west and southwest this year. The Russian mobile SS-26 short-range ballistic missile system (Russian name - Iskander) has also been deployed in the region, as well as the SS-C-5 Stooge anti-ship missile system (Russian name - Bastion). In December, Russia promised Serbia 30 T-72 Battle Tanks, and six MiG-29 aircraft and 30 other combat vehicles. These are all from Russian reserve equipment stores. On the NATO side, the Czech military has contributed troops and equipment, from the 74th lightweight Motorized Battalion to Training Bridge 2017. Not only will Czech troops exercise in Slovakia, but also in the Baltic States of Estonia, Latvia and Lithuania. Czech troops will be training along with Lithuanian troops over the next two months- being joined soon by Slovkian, Polish and Hungarian troops. Yesterday, the 3rd Armoured Brigade Combat Team of the 4th Infantry Division crossed into Poland. The commander of the unit stated on arriving in Poland “I have no doubt we will credibly deter any threat in the area....It doesn’t take long to put it (my unit) together and get ready to fight." This Armoured Brigade will be deployed around Poland, with exercises again in Estonia, Latvia and Lithuania as well. In February, the 10th Combat Aviation Brigade, based in Fort Drum, N.Y. will move to Europe, with 50 Blackhawks, 10 Chinooks, and 1,800 troops. An additional 400 personnel and 24 Apaches from a Ft. Bliss aviation battalion will be attached to the 10th CAB. The 1st Battalion, 8th Infantry Regiment, will be operating out of Romania and Bulgaria as part of Operation, and in April- unless moved sooner- a squadron from the 2nd Armoured will be moving into northeast Poland. The commander of US European Command, General Curtis Scaparrotti stated, “The European infrastructure and integrated support has enabled our force to rapidly be ready and postured should they need to deter Russian aggression.” (emphasis added). The British and Canadians are sending 2000 troops to Estonia and Latvia. A NATO Brigade formed under German Command is set to deploy to Poland and the Baltics this month as well. A German-led armored battalion is being deployed in Lithuania for the first time since WW2. This will be seen as extremely provocative by Russia. German Troops entering Poland toward the Russian boarder will definitely catch the Kremlin's attention- as well as the attention of the majority of Russia. Russia and Germany fought two wars last century WW1 and WW2- with millions and millions of both Russians and Germans killed. An additional movement of US Troops is also historic. Wednesday, a reinforced company of US Marines has been landed in Norway. They will participate in Arctic Training (they couldn't train in the Alaskan training bases?) Additionally they will be deployed to Baltic states. This is the first time foreign troops have been deployed to Norway since WW2. In October, when this planned deployment was announced, Russia informed Norway they would become a nuclear target should the Marines deploy. The deployment of the US Troops alone, not to mention the additional six NATO Brigades, makes up the largest troop deployment to Europe since the end of the Cold War. Moscow is feeling threatened. Although this troop movement was under planning since earlier in 2016, deployment was not scheduled until after the inauguration. Interestingly, the move started November 7, 2016, the day before the election, However, three days later the President Elect and President met, and foreign policy must have been discussed at some point. Further, the President Elect (and his transition team) start receiving very detailed national security briefings after the election. Gen. Mattis and SecState Nominee Tillerson have both made statements within the last two days that are hawkish towards Russia, with Gen. Mattis stating he supported permanent troop deployments to the Baltics and that Russia must be "confronted." The movement of troops is not cheap- either financially or politically. As late as last October, there were budget questions on whether the 3ABCT/4ID would be deployed at all. Further, it would be disastrous for US Foreign Policy- as well as to NATO- for this deployment to occur this close to a change of US Administrations, only to have it reversed after January 20, 2017 at noon Eastern Time. The only possible conclusion that can be drawn is that although President Obama ordered the initial movements, President-Elect Trump is on board, and will continue the deployments. The hacking news, as well as the latest "sexually explicit" releases from the media, are only serving to distract the public from the bigger story- the massive movement of troops near the Russian border. 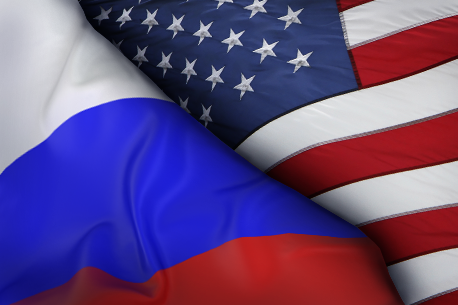 Welcome to the "New Cold War." It seems like a lifetime ago that now President-elect Donald Trump was on the campaign trail trying to win the support of the American people and as we all know he earned enough support to get the necessary electoral votes to become President of the United States. When you listen to the analysis of the recent election most experts say that attracting blue collar voters across the upper Midwest was crucial to Trump’s success. He attracted these blue-collar voters in states like Michigan, Pennsylvania and Wisconsin for the most part by promising that he was the candidate that would restore manufacturing jobs to the United States. This promise was why many independents and normally Democratic voters showed up across what many have termed “the rust belt” and voted Republican. But, when it comes time to choose a Secretary of Labor he does not turn to someone who has experience creating manufacturing jobs, rather he is expecting to ask the Senate to approve his appointment of Andy Puzder. Puzder’s resume includes a career as a lawyer and then later as CEO of CKE the parent company of fast food giants Carl’s Jr. and Hardee’s. So, unless President Elect Trump sees putting together a hamburger as manufacturing, he has chosen the wrong guy for the job. protecting workers are enforced. This article will focus on minimum wage, overtime pay and regulations protecting both workers and consumers. Proponents of a higher minimum wage correctly point out that, at the minimum wage, a single-earner family will have to live below the poverty level. This depressing fact often is true. And putting yourself in these workers’ shoes would chill any normal person to the bone. Not only do minimum-wage workers have to work very hard indeed — and probably not at the most exciting job — but they get paid very little. It’s totally unfair. But if you think the plight of minimum-wage workers and their families, let alone the hardship faced by those who are unemployed, is a consequence of unfair employers, you are sorely mistaken. Employers, like everyone else in this dismal economy, do the best they can for themselves. As Mr. Puzder feigns concern for the plight of low wage and minimum wage earners, he has very much done very well for himself. Puzder’s current compensation package is not made public because CKE is no longer a publicly held company. He cites the fact that he no longer must abide by regulations requiring disclosure of his salary and other benefits as one of the advantages of being a privately held company. In 2010, the last year that CKE was publicly held, Puzder owned about two million shares worth $26.6 million dollars. In 2011, Pacific Coast Business Times reported that Puzder’s compensation was in excess of $10 million. While he was CEO CKE offered over $240,000 in executive perks for himself and other top executives. These included club memberships and the use of company jet for personal reasons. Numbers like these make one question the hardships he has faced in the recent “dismal economy. One of the reasons that Puzder gives for opposing an increase in minimum wage at the time was that there is a large discrepancy in cost of living across our country’s vast breadth. This is a point I would not argue but his conclusion that raising the minimum wage was a bad idea is incorrect. Yes, raising the minimum wage will not equal the playing field for all low wage earners, but that is not it’s intent, it’s intent it is to set a minimum hourly a business may pay its workers. At the time of his opposition the minimum wage bill he was challenging was going to raise the minimum wage to a little over $8 an hour. There was no place in the country that $8 and some change was going to allow for workers to live even somewhat comfortably. It was an attempt to raise the “minimum”, it did not stop states like California and New York where the cost of living is more from raising the state’s minimum wage to a greater amount. Mr. Puzder goes on to say, “Raising minimum wage is the wrong policy applied to the wrong people at the wrong time.” The people it is wrong for is certainly not low wage workers, so I assume that what he is saying is it is wrong for him and the other millionaire executives benefiting from cheap labor. cost needs to be addressed, but beyond that it is unclear what regulations he is against. It appears that regulation itself is the enemy. The restaurant business has regulations protecting consumers from getting food born illness (is this a bad thing Mr. Puzder? ), they also must sell us a beef hamburger if they tell us it is beef, and one can see how this might get in the way of profit and future capital for expansion, but is it a bad thing? Regulation protects both customers and workers, do we want to live in a country where business pursuit of profit goes unchecked, it certainly would help us compete globally. China has very few regulations and refuse to abide by intellectual property restraint. Do we want to lower ourselves to China’s level? It might be cheaper but is it better? Mr. Puzder was opposed to recent changes in the law that forced companies to quit using a loophole that put workers on salary to avoid paying overtime. Minimum wage and the right to earn overtime for work over 40 hours are both laws that the Labor Department are obligated to enforce. Mr. Puzder does not seem to be the man for that job. His industry hates both and he is very outspoken against them. The manufacturing jobs that Trump promised are not historically dependent on minimum wage workers or trying to get around paying overtime. Mr. Puzder seems to be the right man to protect service and fast food employers but we were not promised that Trump would help create more low and minimum wage jobs that will not restore America or the middle class. My arguments make it pretty clear why a “liberal” like myself would oppose Mr. Puzder but why should a conservative or a Republican care about this choice? I would argue that if conservatives and Republicans want to continue to gain support from blue collar workers they cannot turn their backs on the promise of manufacturing jobs coming back. It is the desire for manufacturing jobs that helped give the “right” control of the White House and both chambers of Congress. Without following through on this campaign promise, Michigan and the rest of the upper Midwest will be ready to send the Republicans home during midterm elections and it will guarantee the White House will be occupied by a progressive candidate after the 2020 elections. We should be looking for leadership in job creation among companies like Apex Resources, a supplier of water soluble polymers. It is an environmentally responsible company of whom according to Business Insider has seen growth of over 1,100 percent. I have recently read Mr. Carden’s article “Two Chinas- Not One” in his blog the Carden Chronicle’s. I have known Mr. Carden for many years. He sees the world from a much more conservative view point than I do, I am a self-described liberal, I am sure he is not. Despite the fact that on many levels our politics are very different, it is amazing how much common ground still remains. This is true of our view of the People’s Republic of China (PRC). In this article, he calls for standing up to the People’s Republic and for the recognizing of the Republic of China (Taiwan). Let me look at his reasoning and try to determine if there is common ground in this area. The article states a list of reasons why the Republic of China is far more deserving than the People’s Republic of China to receive benefits from doing business with the US. He lists the fact that it is a democracy, this seems to be tough criteria for the United States to apply in the world we find ourselves today. The US has to ask itself if this is something that we should support on its own merit, too many times we are faced with the choice between a pro- United States dictator or a Democratically chosen Jihadist government. The article also goes on to argue, Taiwan being capitalist should be considered in its favor. Capitalism is not a philosophy that creates friendships, it puts countries in competition. Mr. Carden then goes on to describe conditions in the People’s Republic of China both currently and historically, and this is where Mr. Carden and I find our common ground. The People’s Republic of China has a long track record of being on the wrong side of human rights. The PRC is a place where workers have no rights. They work six days a week in poor conditions and work 12 or more hours a day. There is no such thing as overtime in the PRC or the right to collective bargaining. The PRC also has a horrible track record on women’s rights. For decades the People’s Republic had a one child rule. Yes, abortion was legal in China, but not because they believe in a woman’s right to choose. No, it was very much the opposite, a woman could not have a second child in the People’s Republic, they are forced to kill their unborn child without any say. And just months after PRC reverses policy on one child, they go after Guo a lawyer once recognized as a champion for woman, the PRC in February of this year closed her NGO after 20 years of providing legal service to poor woman in Hong Kong. Woman’s rights have always been on attack in the PRC. As the article states there is also no freedom of speech or right to dissent in the PRC, those of us who were alive have no trouble remembering the scene at Tianaman Square. For those who were not alive the Peoples Republic of China attacked protesters at “the gate of heavenly peace” killing hundreds and perhaps thousands. It is estimated that over 10,000 people were arrested for doing nothing more than peacefully protesting. The People’s Republic also does not give its people the right to worship freely as they choose. Even removing democracy and capitalism from the list laid out by Mr. Carden it is still a very large list of reasons to oppose the PRC. Workers’ Rights, woman’s rights, the rights of a free press, freedom to worship or not worship how you please and the right to peaceably disagree with your government are lynch pins of the progressive or liberal agenda. The People’s Republic does not just limit one of these but all of them. As a liberal I agree with Mr. Carden and say it is time we quit doing business with the People’s Republic and also that we formerly recognize Republic of China. It is very simply the right thing to do. And as Mr. Carden states PRC will react, and taking a stand will cost us something but America has never been afraid to stand up and be counted on to side with what is right. The “Two China’s- Not One” article goes on to say we should give the jobs that are currently in the PRC to the Republic of China. While this is not a bad idea, after all Taiwan is a friend of America and is in a very strategic place for US interest in the region. I think this misses an opportunity to address another issue. Both those on the right and the left believe in doing something on the subject of illegal immigration from Mexico. Whether you believe in a limited amnesty program or building a wall and beginning deportation, they are treatments to the problem but are not the cure. Mexico needs a growing economy that puts its own people to work. Many immigrants from Mexico do not want to leave behind families and home to work in the United States but the lack of quality jobs forces them to do so in order to provide for their families. If we took the manufacturing jobs that are currently taking place in the People’s Republic and moved them to Mexico we could significantly bolster the Mexican economy and help create a Mexico that can employ its own people. The question many might ask is how much will this cost the American consumer. Or to put it another way how much more will my Arizona Cardinals jersey or a new DVD cost if we do this. Surely Mexican workers would make more money a Chinese worker? I originally thought I would have to make the argument that yes it would cost more but it is a small price to pay but the truth is when researching this question, I found some interesting information. A study by the Hunt Institute for Global Competitiveness at the University of Texas at El Paso shows factory wages in Juárez are among the lowest in Mexico, and plant manager salaries are among the highest. When compared to manufacturing wages in China, Mexico is now 40 percent cheaper. The jobs can be moved to Mexico without labor costs skyrocketing. If the US does move the manufacturing taking place in the Peoples Republic of China it is an opportunity to raise wages and create jobs in Mexico which is the best long term approach to dealing with illegal immigration into the United States. I believe doing so would not only send a strong message to the People’s Republic but allow us to address a critical issue effecting the United States at home. The United States has failed to stand up to the People’s Republic for far too long. It is time to support Taiwan and Mexico and call out a repressive regime for what it is. And this is an area that Americans can find common ground and reject gridlock.